At ABC we will provide a loving, safe, warm and stimulating environment for your infant to make their first discoveries. The key elements in our nursery are to ensure a safe environment, to maintain personalized schedules and provide tender interactions throughout the day encouraging your child to learn, develop and grow in their own unique way. We provide daily reports that inform you of your infant’s routine including feeding times, diaper changes, nap times and more. 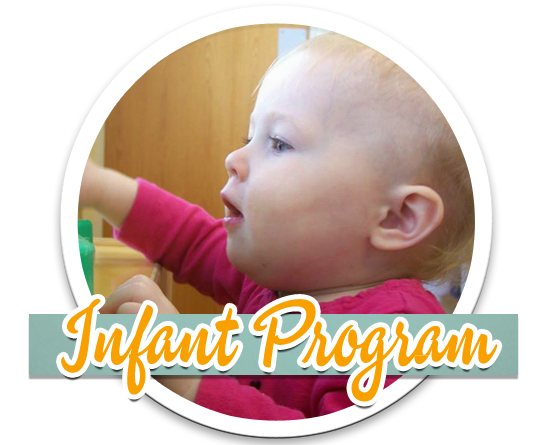 Our infant curriculum is loosely structured to take advantage of your infant’s natural rhythms. At ABC we will provide a loving, safe, warm and stimulating environment for your infant to make their first discoveries.